We had the chance to review this movie before it hit the stores, today, March 18th, 2014. This movie will forever change the way you see the beloved tale of Mary Poppins and the story behind the man himself, Walt Disney. My husband and I enjoyed this movie on a quiet night after the kids went to bed. We truly enjoyed it and we absolutely adore how Tom Hanks portrayed this character. On Blu-ray and Digital HD, Saving Mr. Banks sweeps viewers away with enchanting high-definition picture and sound, plus delightful, never-before-seen bonus features, including “The Walt Disney Studios: From Poppins to Present,” in which director John Lee Hancock takes viewers on an insider’s tour of Disney Studios today and reflects on studio life during the creation of Mary Poppins. Additional bonus materials include “Let’s Go Fly a Kite,” in which the film’s cast and crew sing an impromptu version of the iconic song on set during the last day of shooting, and deleted Scenes. For someone who absolutely loves the story of Walt Disney and how he came from humble roots and aspired to be more. How he made one tiny, little mouse change the world as we know it. Getting to know Travers from youth and onwards is also so interesting and highly intriguing. 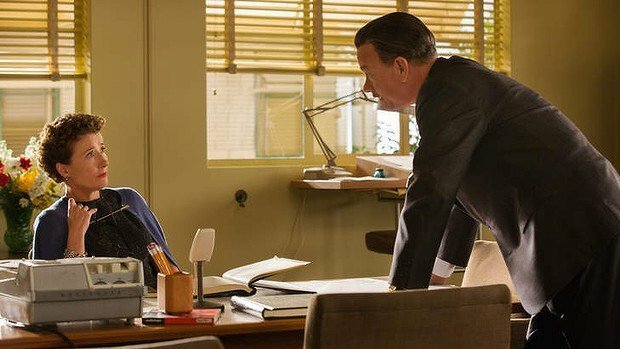 Saving Mr. Banks is a film that at every turn seems to defy expectations and offer something much more true and personal about life. That no matter how many naysayers and cynics there may be, this film was one of the best films I’ve seen this year! Don’t expect a completely promotional Walt Disney film, in case you heard that because this film is full of drama, sorrow, uplifting moments and truth. Saving Mr. Banks is out today, March 18th in-stores, this is one for your collection. If you love Disney and love Mary Poppins, you will love this movie and it may change the way you see both forever. Pam Leaves (Blu-ray & Digital HD) – After yet another disagreement with Walt, Pamela leaves his office and heads for the airport. Did you love Mary Poppins? We're HUGE Marry Poppins fans. I think my kids secretly wish they had her for a Nanny! Who doesn't love Mary Poppins?! I definitely do (it is one of my all time favorite movies). I' love to see the behind the scenes movie on how it came to happen. If you love Mary Poppins, you will love to see where she came from. we haven't seen this (yet) but im looking forward to it. and I love tom hanks! I havent seen this yet. Ill probably wiat for the dvd. Looks good. Great timing, we are watching this tonight and I cannot wait!! It is a great film, we enjoyed it. I've heard excellent reviews about this movie and now with this post, I definitely have to see it. It is a heartfelt film. I've heard tremendous things about it from everyone so far. I can't wait to get a look at it! My recent post NETGEAR Nighthawk Saves the Signal! It was a great movie, wow, you can actually see the pain and strife they endured and the true meaning of Mary Poppins. Oh I absolutely loved this movie! It made me cry. But in a good way! So brilliantly done. I didn't know this one came out the same day as Frozen. I made sure we got the Frozen DVD. I wanted to see this when it was in theaters. Who doesn't love Mary Poppins? I have only heard good things about this movie. We plan to rent the DVD. Mary Poppins in one of the few Disney classics that I haven't sat down and watched with the kids. I'm certain they would enjoy it and if I refreshed my memory of it, am positive I would love Saving Mr. Banks. I've heard nothing but great things about it! Me too, I have to watch it with the kiddos. I really, really, really want to see this movie! My sister and I planned to see it in theaters, but it just didn't happen. We MUST make time to see it soon! Oh I can't wait to see this movie! It looks awesome. I have to say that Mary Poppins has always been one of my absolute favorite movies ever. What's not to love! Wish I could get my house clean with her magic! LOL! Our copy arrived today and I can't wait to watch. Extra tissues handy just in case. i so want to see this movie, i need to add it to my list! Hope you like it when you do! 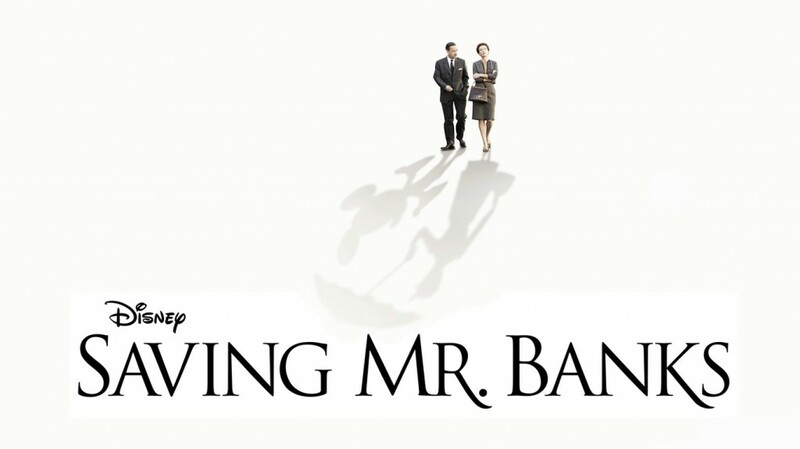 I haven’t seen Saving Mr Banks yet, we are going to watch it this weekend! It’s finally out on on demand! It is an emotional film. Fantastic film and great insight of a classic movie! The cast is just incredible! I've enjoyed Mary Poppins since I was a little girl. It will be interesting seeing the story behind making the movie. I didn't know or hear much about the movie before reading this. I love Tom Hanks so I'm glad you put it on my radar. I'm excited to finally see this! I LOVED this movie! I laughed and cried and loved it all! This is a great movie! I can't wait to add it to my movie collection. I haven't seen this yet but I'm looking forward to it. OMG this movie was AWESOME. Hubby and i really liked it!